Its the beginning of a new year and its a time when people make resolutions and try new things. I figure I have some readers who are darn fine crocheters and might want to learning knitting. I figure I have the oppsite too; talented knitters who would like to take up crochet. So this Sunday Monday Stitch let’s have a few basic lessons for the hookers that want to try pointy sticks… and next Sunday I’ll have tips for the pointy stick crowd that want to be come hookers. For crocheters that want to learn knitting here is what you need: a thick yarn, say bulky weight (or thicker), needles in size 10 (or bigger) and two crochet hooks in size K (or bigger). Yep, crochet hooks. Just bear with me. 1) Beginners always hold the yarn too tight. I betcha you did that when you were a beginning crocheter. You are going to go through that phase again and that is perfectly okay. 2) Your tension and gauge are going to be all over the place and that is okay too. Beginners need to learn the motions first. Refinements come later. 3) Playing with yarn is fun. Even when it makes you say dirty words and throw things at the walls, it still counts as happy-fun-play time. There are hundreds, yes hundreds, of cast-ons for knitters. We are going to start with the cast-on that uses a crochet hook and a knitting needle. Its called the crochet cast-on. Once you have a line of stitches on your needle, you’re ready to knit. So lets start by making knit stitches… with crochet hooks. Think of this as working your way up to knitting with needles. You’ll get there (and faster than you think) but let’s start out with thee training wheel on the bike. After all if you’re a crocheter you are probably pretty comfortable using that hook. There you go, Jenn’s way of getting happy hookers to be happy knitters. It may be a bit unconventional but I’ve had good results with these techniques. Hope they work for you too! 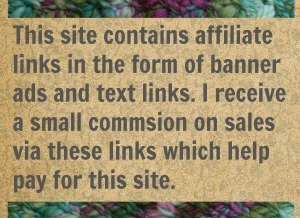 11 Comments on "Knitting Lessons for Crocheters"
You are most welcome! I hope this method works for ya. I think it will work for plenty of crocheters and, as a knit/crochet instructor, it never made sense to have an experienced crocheters start knitting like a beginner. They are not beginners, they are just learning a new tool. So that is the thinking behind my method and I think (hope) it finds the right audience. Thank you jenn for the lessons. They are wonderful and your challenged friend is a delight. Very good example for me not to say I can’t do it! What an inspiration she is to me. I am tapped out on my debit card from buying home décor items online and will be going to Wally World soon and will buy my Knitting Needles there I guess and get started on my adventures as a Knitter. I can’t wait to stock up on washrags. You are a great teacher. You are most welcome! Hope this gets you on your way to being a great knitter. 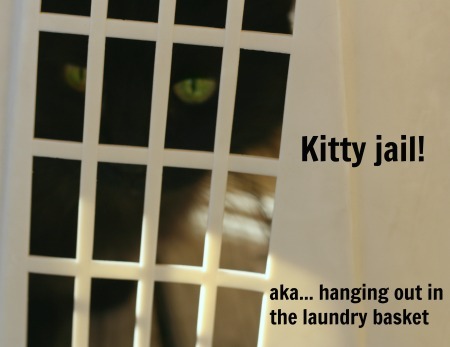 And washcloths sounds like a lovely plan. You’re a genius Jenn! I can’t wait to show these to the crocheters in my life! ? Thanks! I’m a knitter interested in crocheting. Can’t wait for next week! The thing that I hated most about knitting was casting on by hand. All this time, I could have been doing it with a crochet hook! Thank you, thank you, THANK YOU!! lol Then you are most welcome! Its a great cast on, nice an firm, and I’m so glad it worked for you. Btw, that crochet cast on works great for Tunisian projects too. It allows you to skip the “foundation” of Tunisian simple stitches at the start and jump right into whatever fancy Tunisian stitches you’d rather be making.